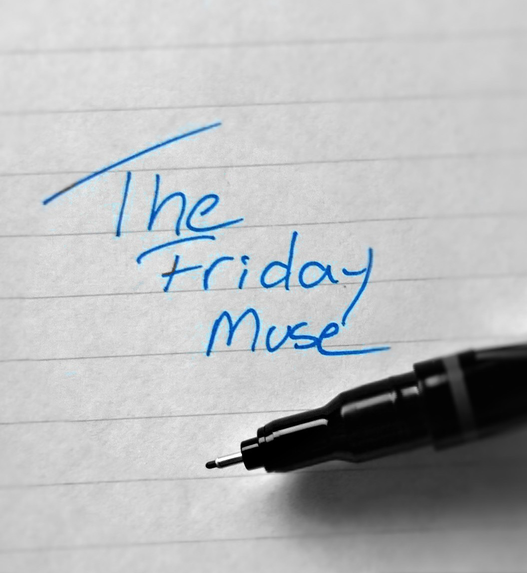 Today’s Muse piece is a short snippet of fantasy fiction involving a magic-wielding character known as a Darkwielder. Not sure which of my fictional universes (if any) this comes from, but the piece definitely opens the door for a possible short story or novel. Beatrice stood before the two story house on Hawk Street and looked up at the charred remains of what once used to be her home. The houses to the right and left were untouched by the blaze, shielding the rest of the block from potential harm. But Beatrice knew it wasn’t luck that prevented the fire from the spreading. The fire had been supernatural in nature, a violet-colored blaze specifically set to destroy only her home. A blaze that only could have been cast from a Darkwielder. Beatrice approached the small set of stairs that led to what was once a beautiful porch area. Now it contained nothing more than skeletal remains of ash and sorrow. Her sneakers pressed against the sick wood with creaking and groaning, as if she were taking the last bit of life from the structure. She walked through the empty doorframe into a room full of ash. Most of the walls had been burned out, leaving behind charred studs that revealed the true structure of the home before its unfortunate demise. She scanned the room and spotted a small purple shine glittering from under a mound of gray ash. She hurried to it, pushing the ash away, revealing a small cluster of crystals. “You’ll do nicely,” she whispered. The collection of purple crystals – gleanathyst – could fetch her a high price on the magic market. But she had no intentions of selling it. More than anything, she wanted to use the remnants of the Darkwielder’s magic staff to create her own staff. She was long overdue for it, especially since the completion of her elemental training months earlier. She tucked the gleanathyst into the inside pocket of her long gray sweater and stood to her feet. The house felt so empty, so cold. She heard the sound of neighborhood children playing nearby, and she remembered when the house was abuzz with life within its walls. Now it lay dead, like a Gurgant beast that had been slain by a dark magician. Beatrice turned around, unsurprised to have a visitor in what was left of her home. The woman who spoke was none other than the Darkwielder herself. A tall and slender woman, the Darkwielder wore the gray silk cloak and tall black boots that most every other Darkwielder wore once they graduated from their training in magic. This particular Darkwielder had brilliant green hair that snuck out of the sides of her hood, surrounding her flawless pale face with green bushels. “I still have other magics,” she said.